Do you celebrate All Saints’ Day? I do, and lately the movie Coco has been on my mind. 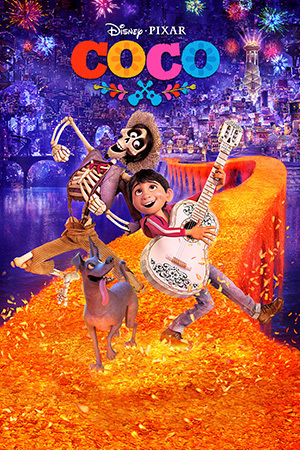 I love how the movie showcased Dia de Los Muertos (Day of the Dead), when big throngs of family and friends congregate at the cemetery to commemorate their loved ones. The movie tugged at my heartstrings because it reminded me so much of how we celebrate Todos Los Santos (All Saints’ Day) in the Philippines. Each year on November 1st, Filipinos swarm to the cemeteries to honor our beloved family and friends who have passed away. Some families would come the previous day, some would come the next day (on All Souls’ Day), and some would stay there for the three days. Some people camp out and spend the night, and the cemeteries are literally packed with people, food, light, flowers, candles, and music. The energy during Todos Los Santos is anything but sad. The holiday has become a de facto family reunion, so there’s a jovial feeling in the air. Filipinos honor our loved ones who have passed by bringing their favorite foods, reminiscing about them, praying for them, and keeping our memories of them alive. There is something very uplifting about celebrating the lives of our dead, instead of mourning their deaths. In my family, we go to two cemeteries - one for my mother’s side, and another for my father’s side. We bring food, we pray, we catch up with our relatives. The kids play, the adults talk, we all eat and enjoy our time together. I am sad that some of my family have passed too soon: Lolo Ising, Lolo Leno, Lola Nading,Tito Jun, Ate Isabel. But I am also happy that I still have them in my life - through my living relatives, and through Todos Los Santos.